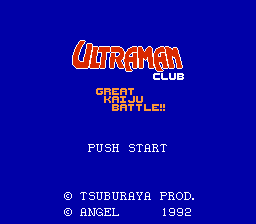 Romhacking.net - Translations - Ultraman Club: Kaijuu Daikessen!! Ultraman Club: Kaijuu Dai Kessen!! 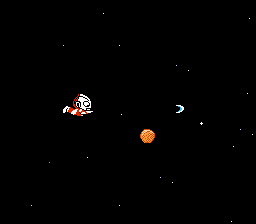 is an action platformer for the Nintendo Entertainment System. 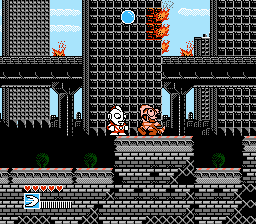 Ultraman Club: Great Kaiju Battle is a pretty simple platformer, typical of the NES era. You walk generally right/up and beat up various bad guys from the Ultraman franchise. You can also use sub-weapons and switch between them at will. Every once in a while you get a balloon popping minigame where you can win various prizes. One thing to keep in mind, though, is that several of the Ultramen look VERY similar, with the only real differences in their artwork being around the shoulder area. This can cause a bit of confusion as to who is speaking. 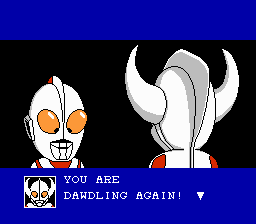 Just remember that after beating a boss, Ultraman Zoffy speaks to your Ultraman, your Ultraman isn’t talking to himself! 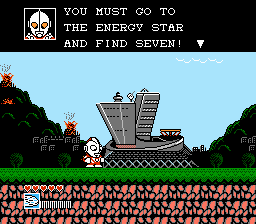 After working out how text is formatted in this game, hacking it was fairly straight-forward, although the script had to be trimmed down to fit into the available space. The planet names in-between stages have proven difficult, though, so they have been left untranslated for the time being.